Massé has four Club branches which are located in Hamilton, New Lynn, Glen Eden, Pukekohe and Hawera. 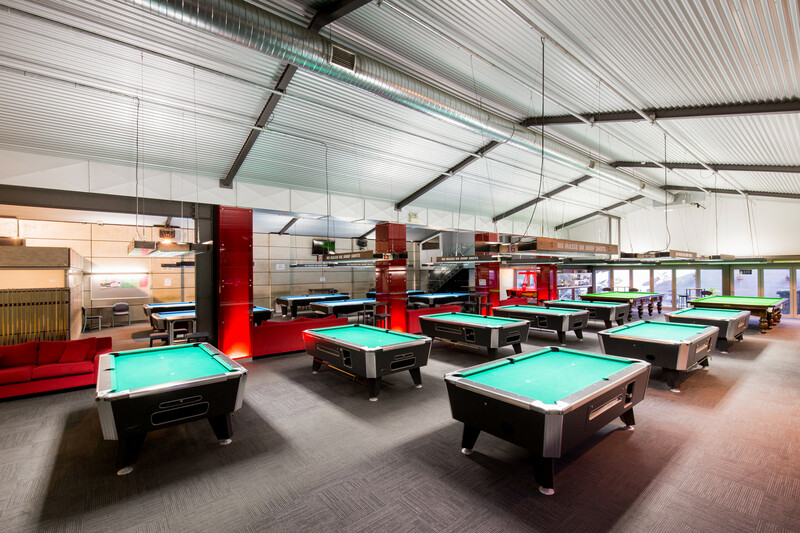 Each of our Clubs has either one or two full-size snooker tables and between 12 and 22 pool tables that range from the seven foot Valley tables to the nine foot American International size pool tables. Our Clubs also have licensed bars so that our members can enjoy a quiet drink with their game or whilst they watch Sky TV on the big screens throughout our Clubs. A variety of food is also available for members to enjoy. Don’t feel like playing just pool? The New Lynn and Glen Eden Club branches also have a table tennis table for members to enjoy along with a dart board and darts. All four Clubs have Air Hockey and Foosball available and our Hamilton Club also has Shuffleboard. All Clubs also have gaming machines which are used to fund our Club and projects in the community should we have surplus funds available. We are a Private Members Club and welcome new members. Joining at any Club branch gives you membership to Masse which entitles you to visit and use any Masse Club branch in New Zealand. We reserve the right to ask you to leave the premises if your behaviour is not acceptable. Breaching the Club rules may see your membership rescinded.